Food is an important topic taught in middle school. While on the surface it appears as if it is an easy topic to teach, the truth is that it isn’t. The idea of food is very complex and is shaped by cultural, political, and social factors. In this article, I will propose an approach to teach food, sources of food, and nutrients in middle school. But, before I give suggestions on teaching ‘food’, let us first discuss the content and pedagogical issues of teaching about food. At the middle school level students are yet to understand food in terms of the nutrients it contains. They will more readily think of food as the sum of different ingredients put together. For instance, Khichri is rice, dal, salt, spices, and water cooked together. 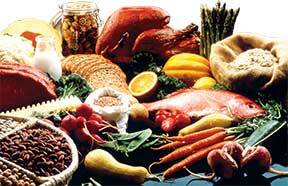 However, an expert understanding of food is based on its nutritional value. It is important to clarify at this point that this understanding is different from knowing the nutrients in isolation. Apart from this, the understanding of food is also based on personal and social experiences. For example, a lot of people, adults included, consider only solid food items as food. Some people believe that pregnant women should be fed less so that the child doesn’t get very big in the stomach and complications don’t arise during delivery. Food habits also vary from people to people. The choice of food depends on several factors like culture, tradition, religious affiliations, and access to food. There are also other issues such as ethical considerations and personal choice in choosing food items. This variety of food habits should be looked upon as rich diversity, and not as cultural superiority or inferiority. Sometimes, textbooks fail to address this diversity and in extreme cases, propagate cultural taboos against particular food habits like claiming that non-vegetarianism develops a tendency of ill-doing among people. These claims are not only unfounded on empirical evidences but also unethical and politically incorrect. Sometimes not having access to food due to extreme poverty forces people to choose food that is stale or thrown away. Often, textbooks do not connect the issues of poverty and hunger with the choice of food and rather present an elitist perspective on food. For example, the chapters on food often have pictures of legitimate food items, the major sources of particular nutrients, and discuss the problems of over eating. When they do talk about malnutrition, it is often restricted to providing clinical information and moral sermon. Textbooks portray a simplistic picture of hunger by connecting it with the scarcity of food rather than the lack of accessibility to food. We consume several things which are not food or do not include nutrients. For example, drugs including addictive drugs, antibiotics, etc. In some food items artificial chemicals are also used as preservatives, colours, emulsifiers, and flavours. The problems cited above suggest that there is no straightforward approach to teaching food. And contemporary neutral pedagogy seems to be inadequate to address the challenges. Therefore, we have to look for a pedagogy that will bring about a balance in these ideas and initiate critical discourse in the classroom. The author is a research scholar at the Homi Bhabha Centre for Science Education (TIFR). He can be reached at shomesaurav@gmail.com.